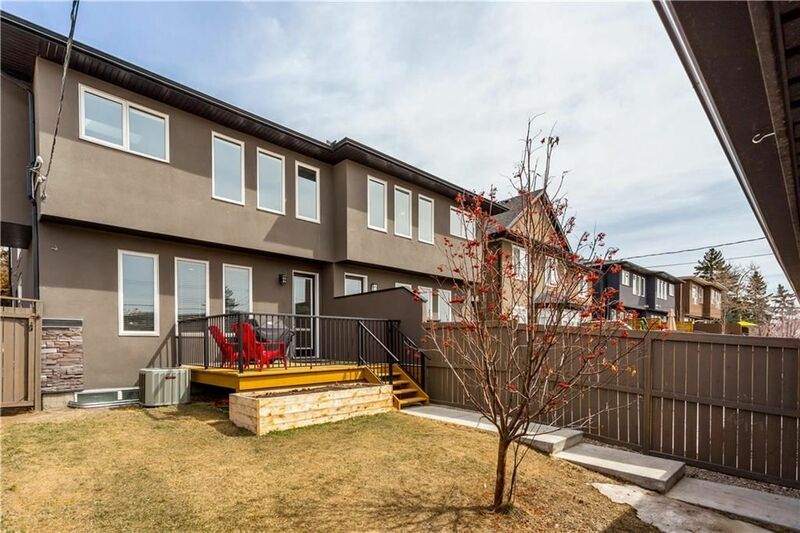 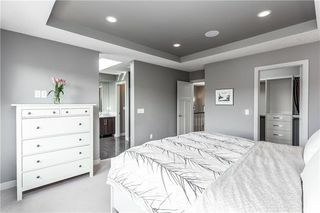 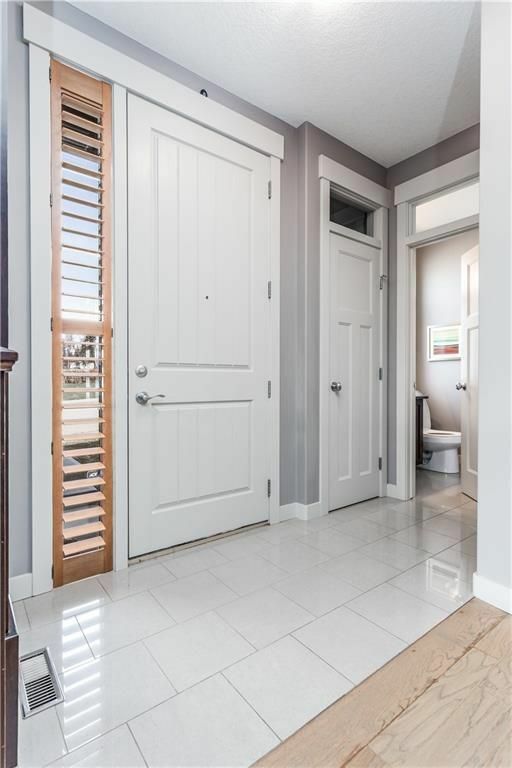 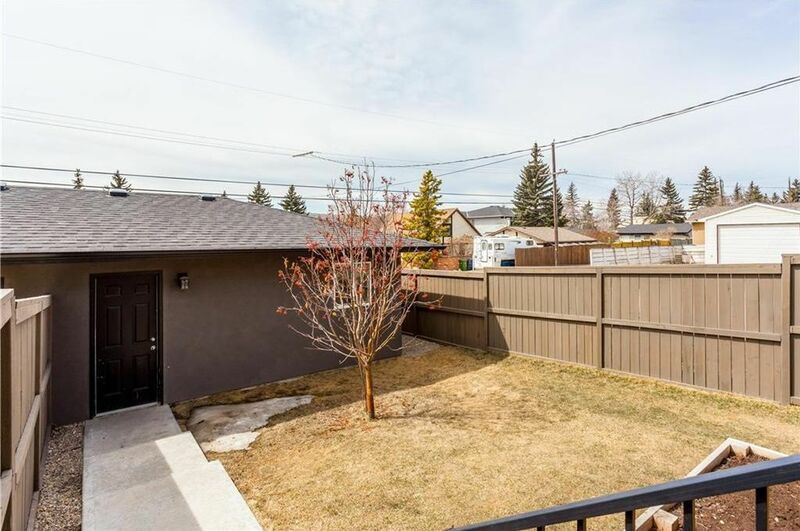 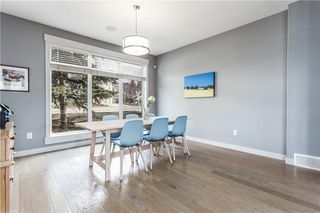 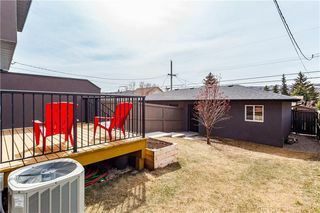 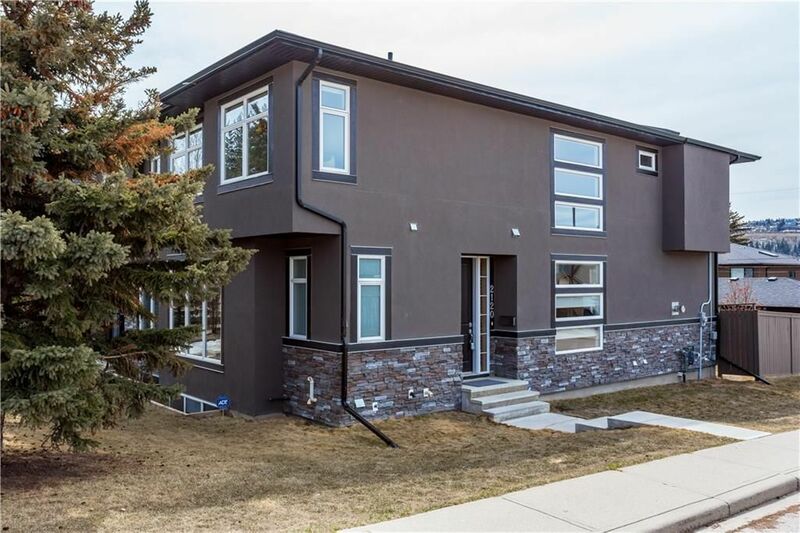 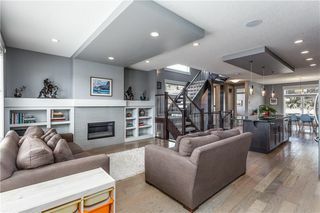 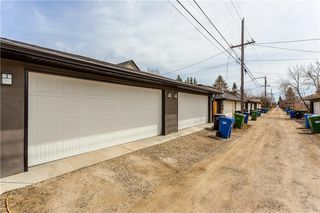 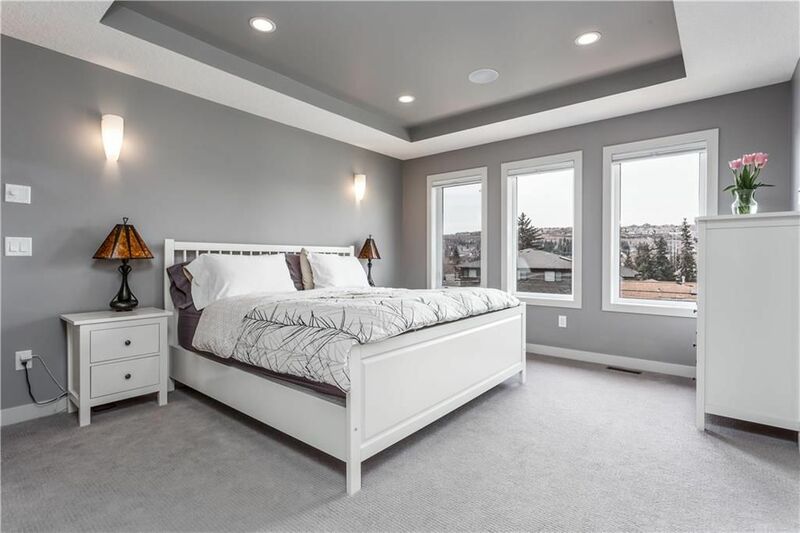 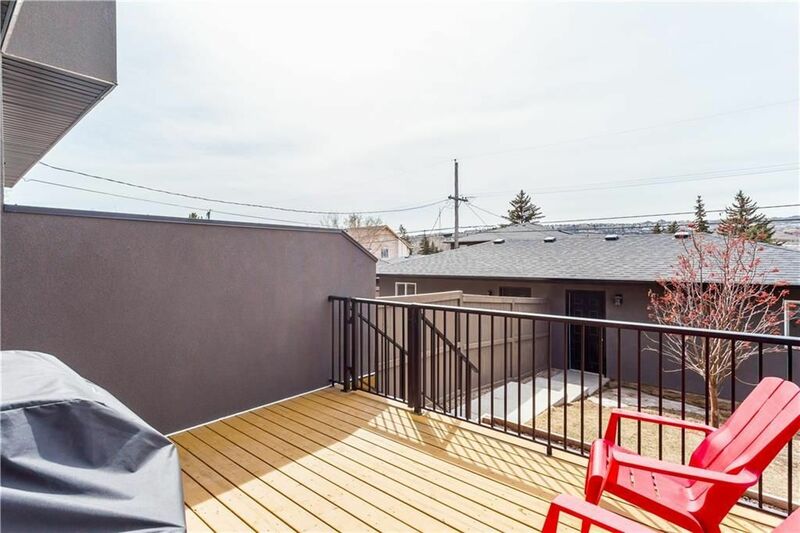 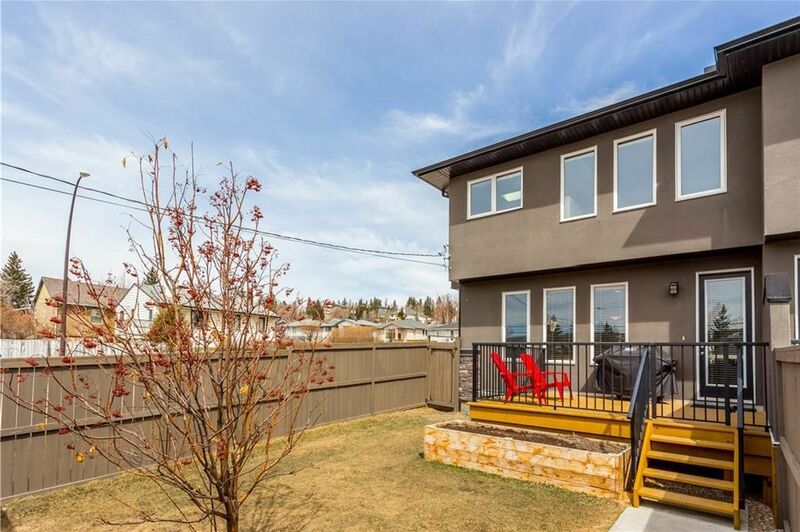 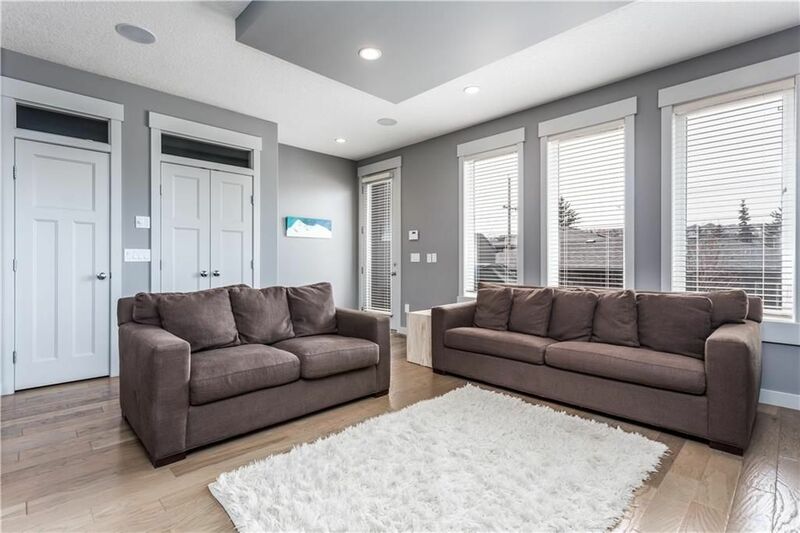 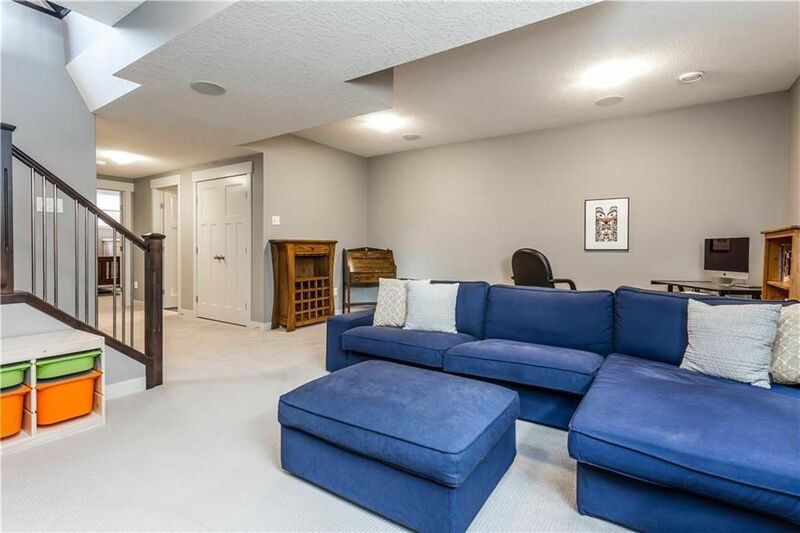 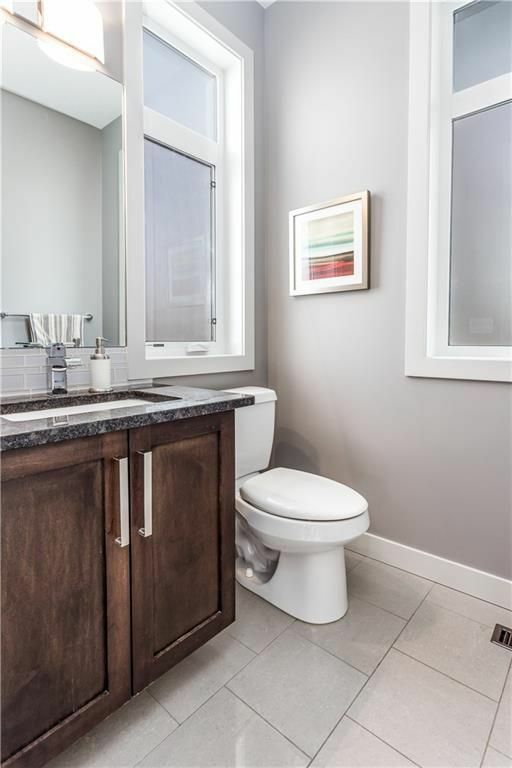 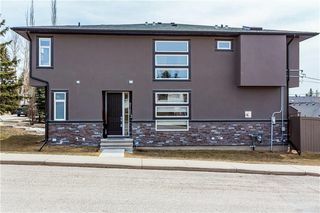 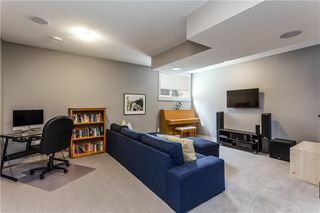 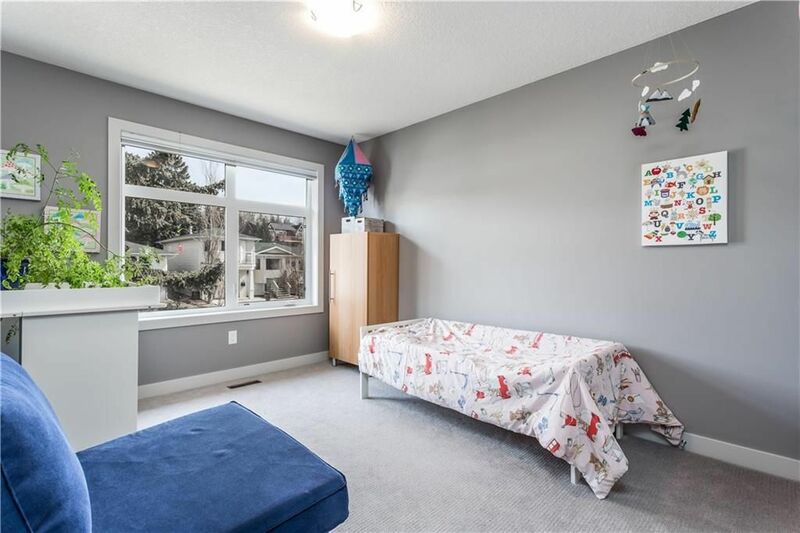 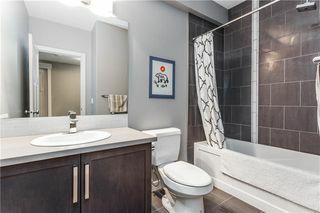 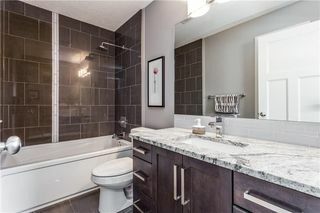 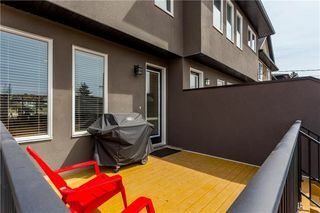 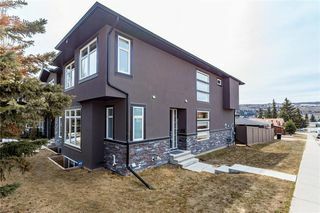 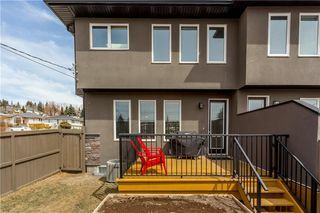 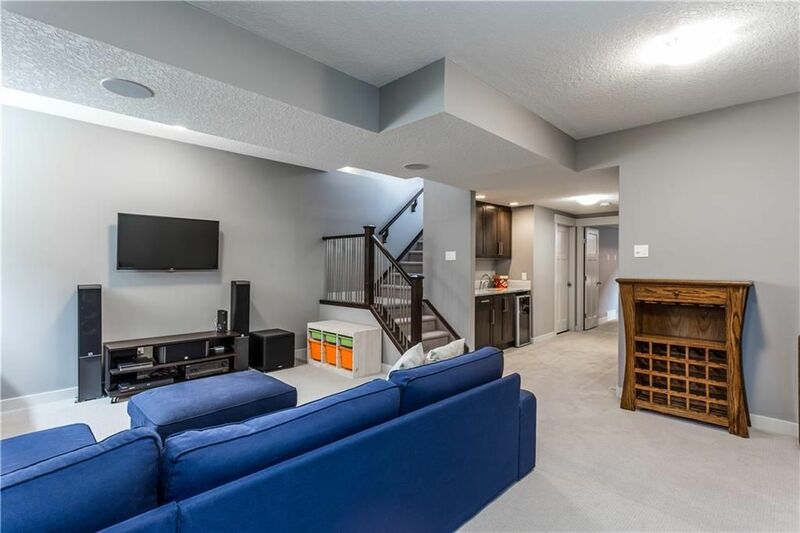 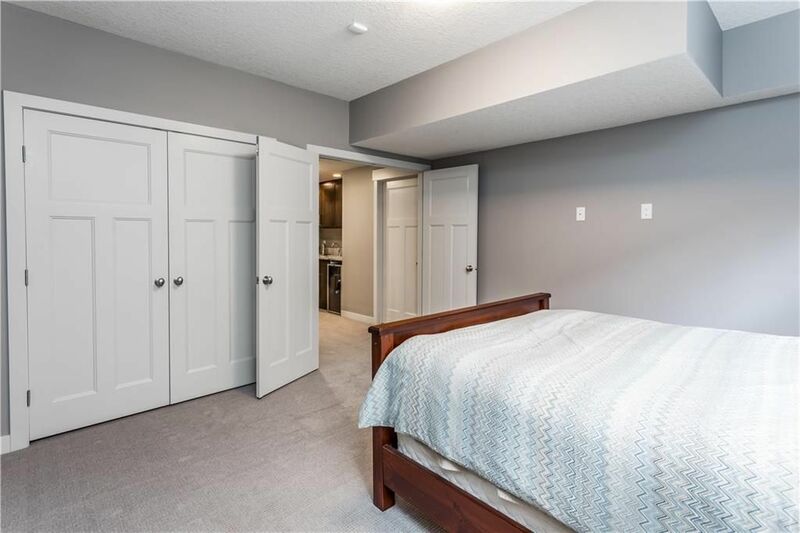 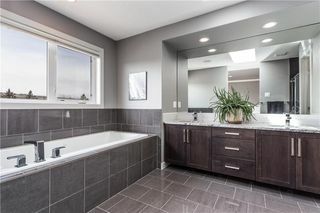 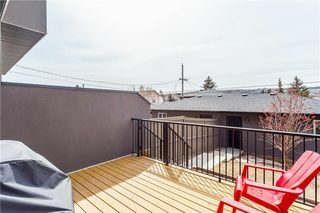 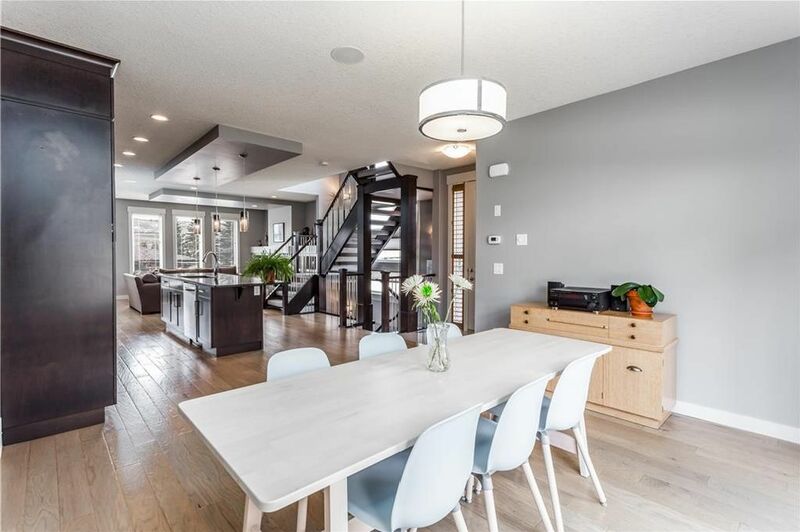 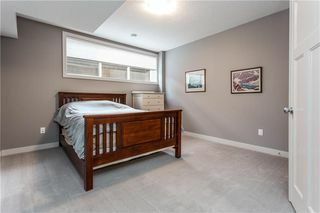 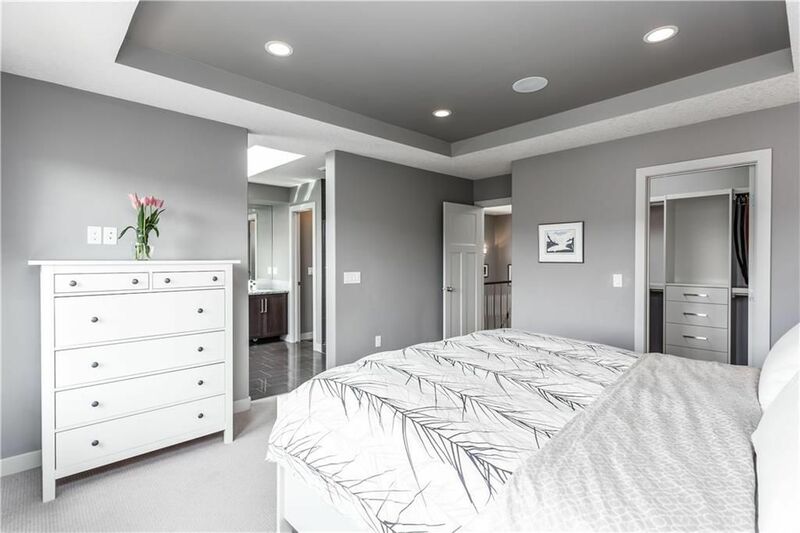 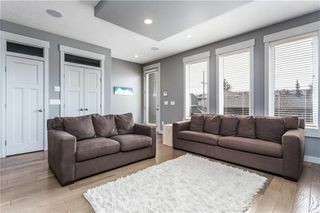 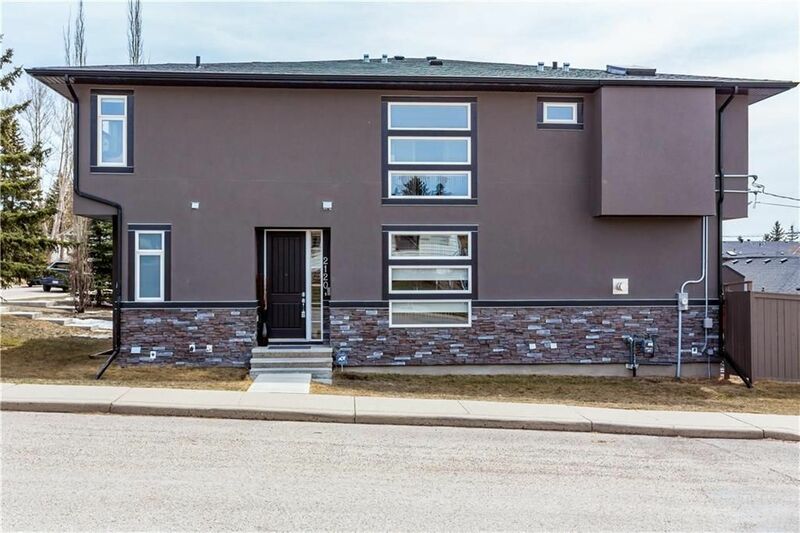 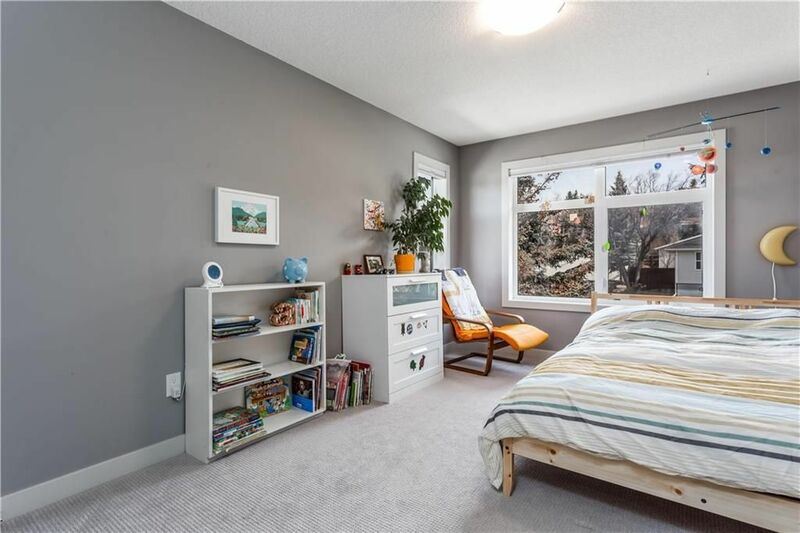 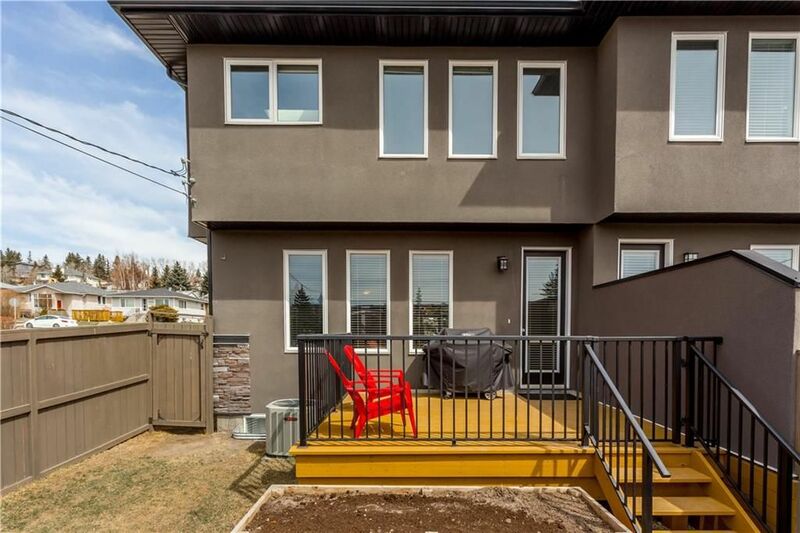 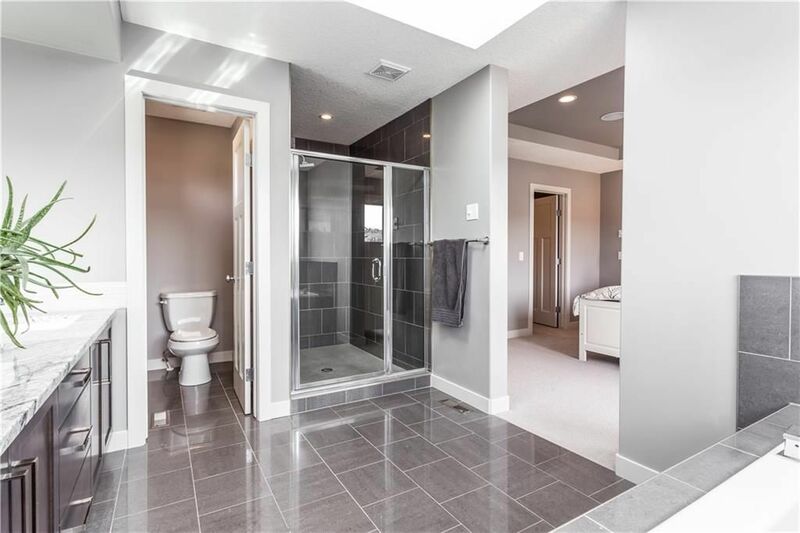 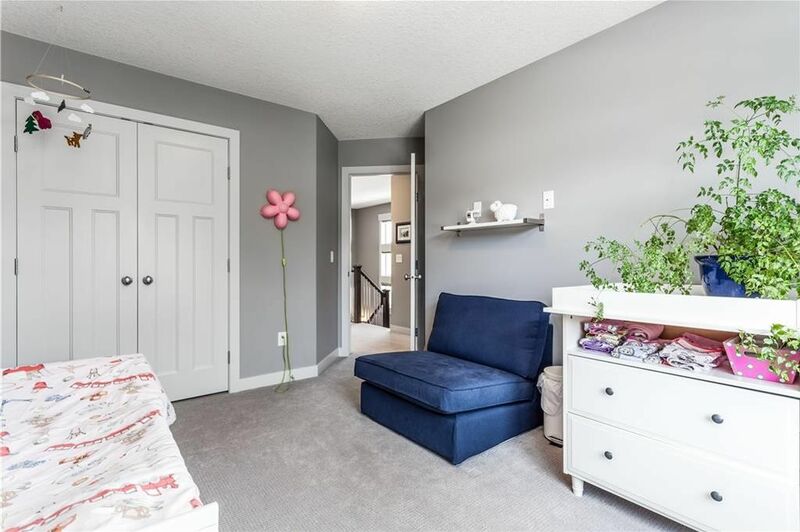 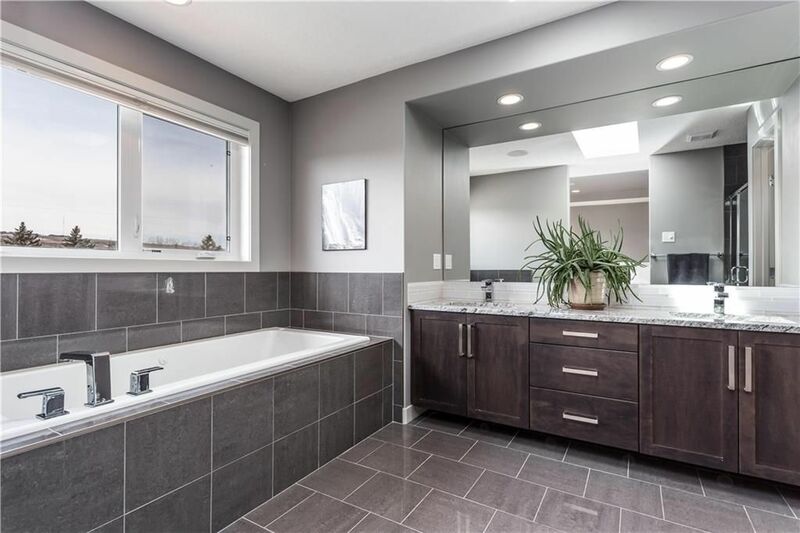 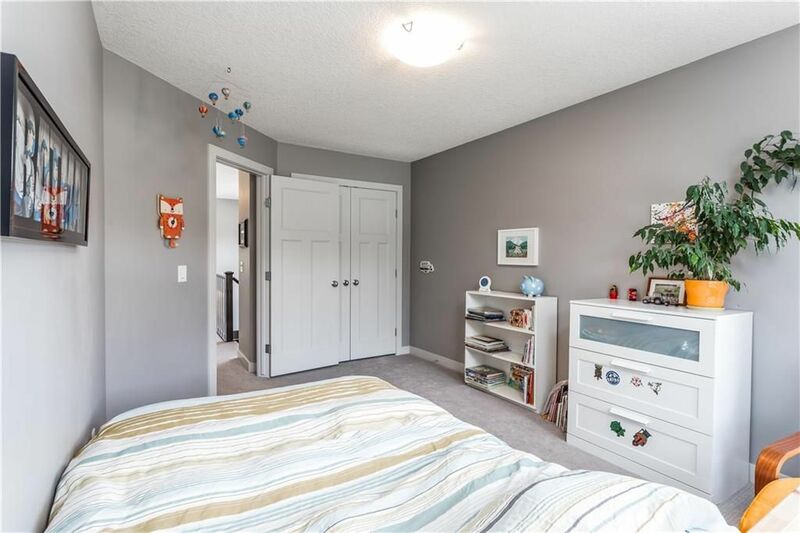 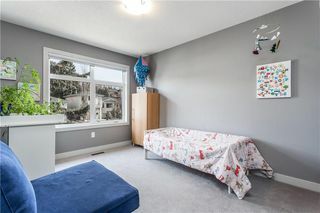 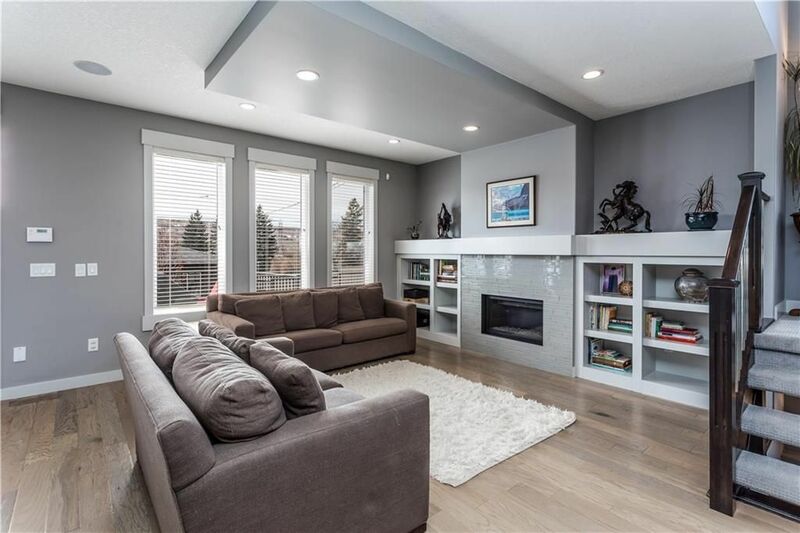 Well located on the upper hill of Montgomery, close to downtown, shopping, schools, the river pathways, the University of Calgary, and Foothills and Children’s hospitals, this beautiful home is filled with natural light allowed by the ample windows throughout. On entering the front door, the main level opens to the dining room, centre kitchen and living room beyond with hardwood floors running throughout. 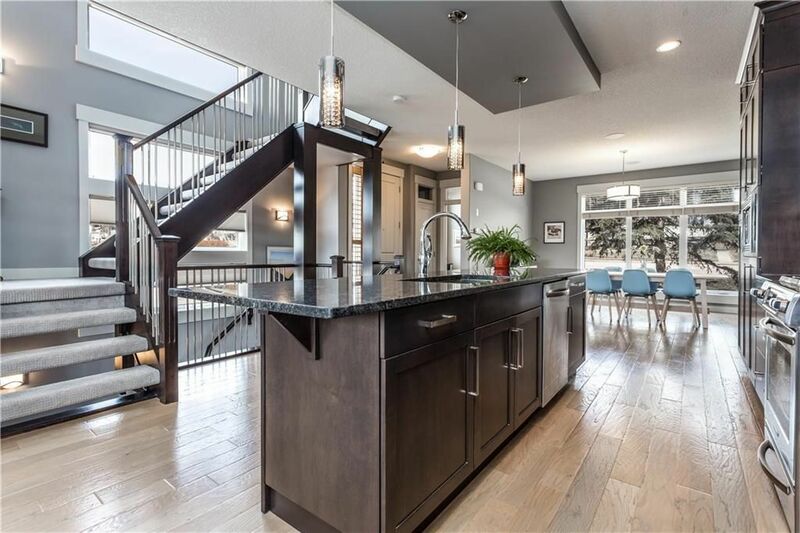 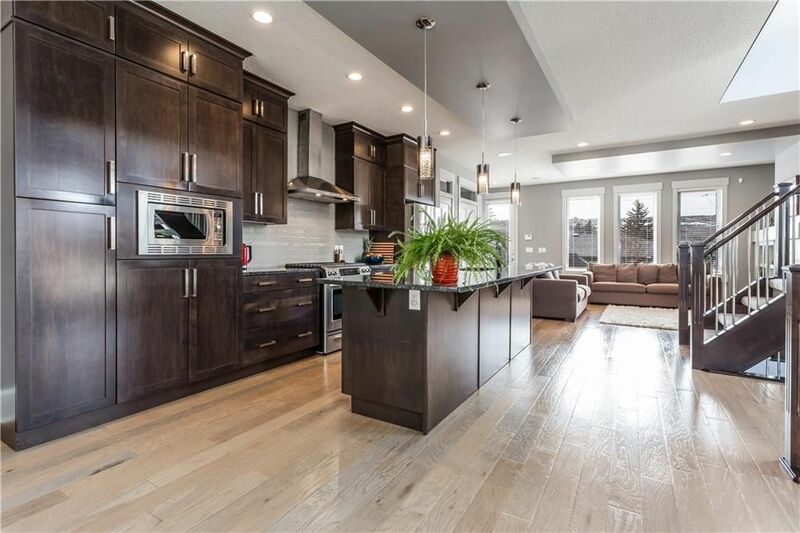 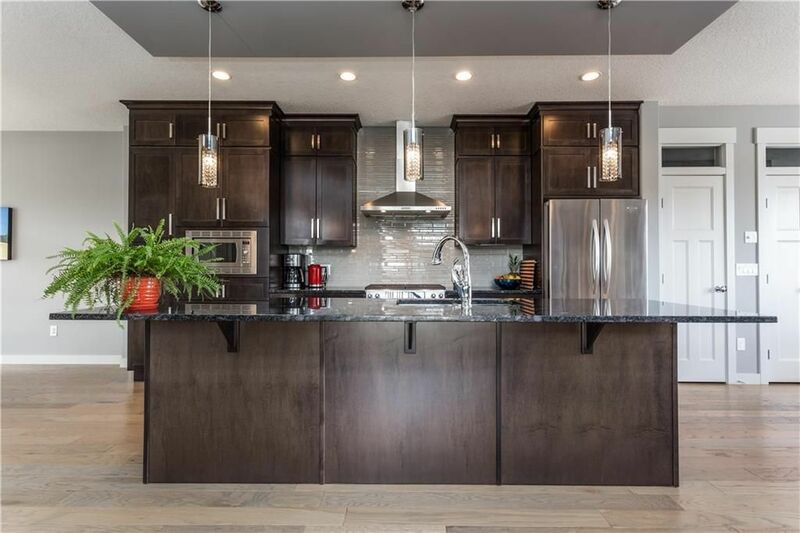 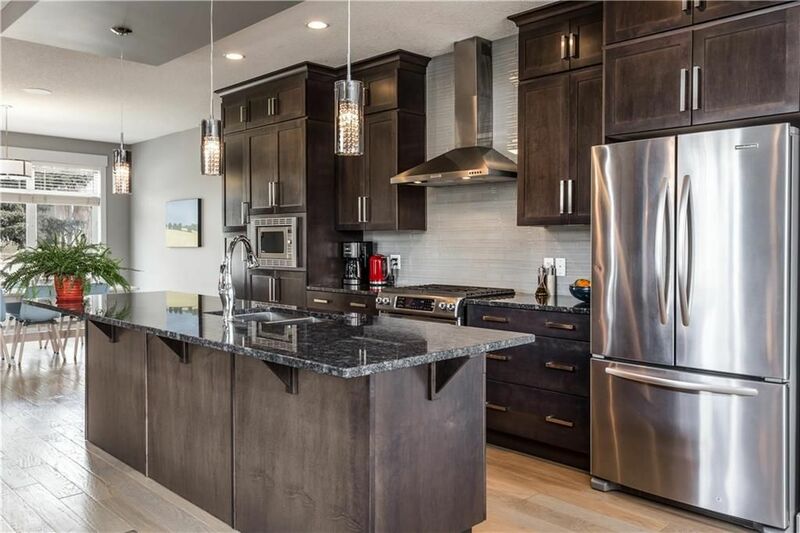 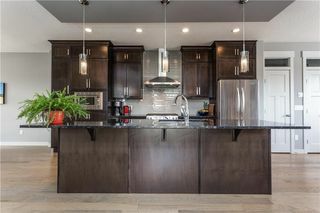 Well designed for flow and entertaining the chef’s kitchen with gas stainless steel stove is at the centre with a large island with granite counters. 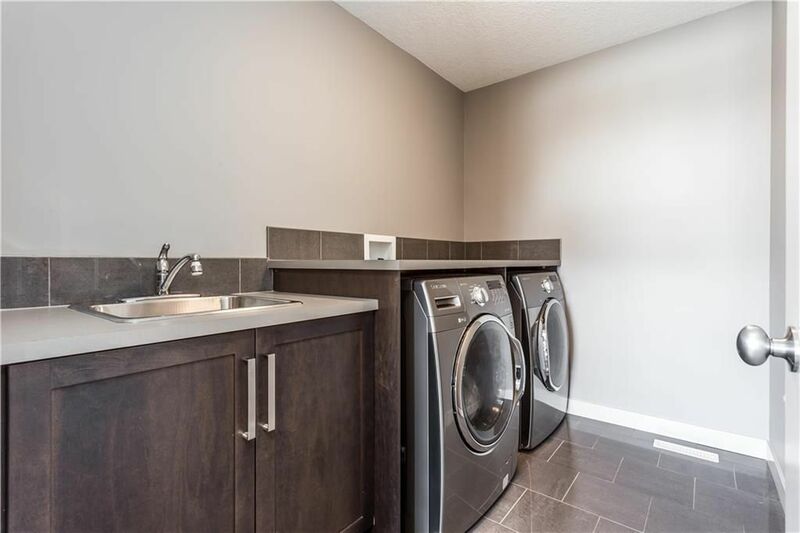 The upper levels offers three large bedrooms including the master with a 5 piece ensuite and upper level laundry room. 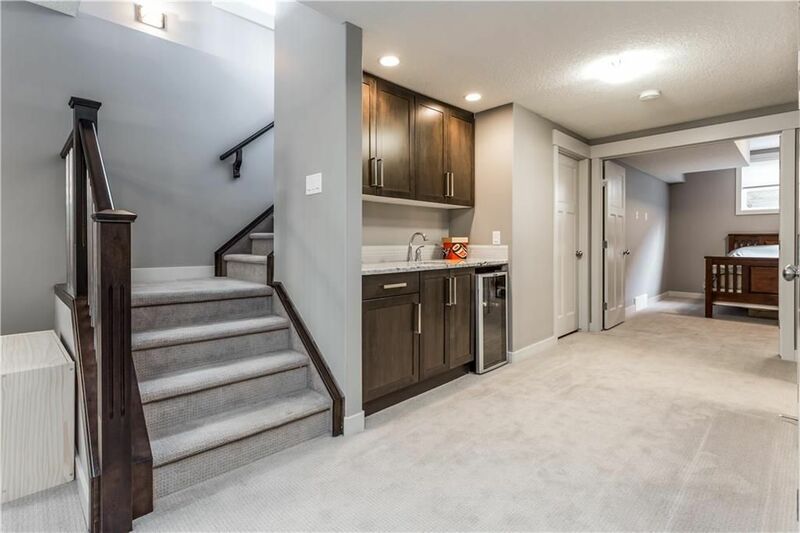 The basement is fully finished with a 4th large bedroom, spacious family room and a built in wet bar. 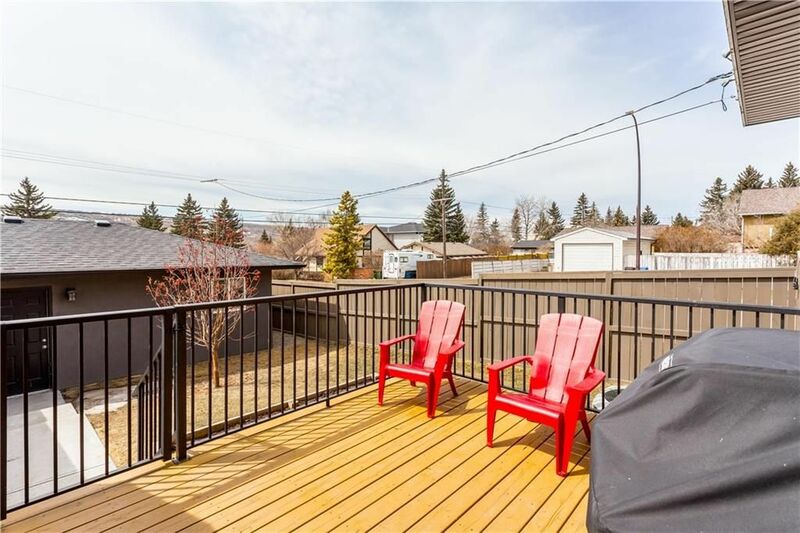 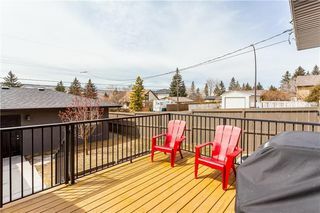 The back deck looks SW and enjoys great evening sun for a family BBQ and is fully fenced. Beyond is the detached double garage. Book your private showing today. Foyer with powder room beyond.